Blyth had a career full of promise at Radley. Like Geoffrey Adams, whom he succeeded as Senior Prefect for one term, he combined a variety of gifts. He won the Gibbs. 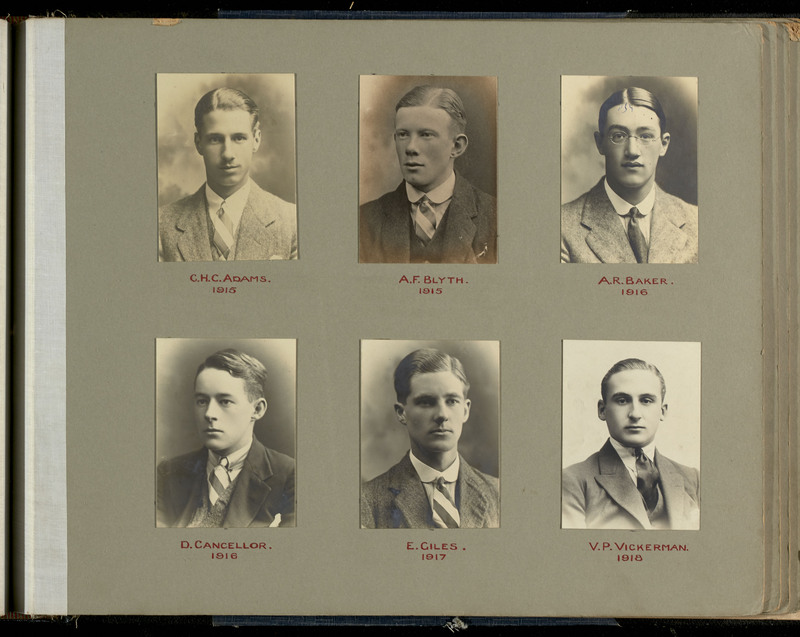 Heathcote, and James Scholarships in successive years, 1913-1915. and the Worsley Prize in 1915. In this year he also won a Classical Scholarship at Corpus Christi College, Cambridge. He was in the Cricket Xl in 1915. and played a fine innings against Sherborne; and in the XV in 1914 and 1915. captaining it in the latter year. He was also a keen lover of literature and of nature, especially of birds, moths and butterflies. With these gifts and tastes he combined a character of unassuming gentleness, thoughtfulness, and charm, which gained him a multitude of friends. His mother gave all the flowers for Chapel for the first Armistice Day service. He qualified as a surgeon at the London Hospital. 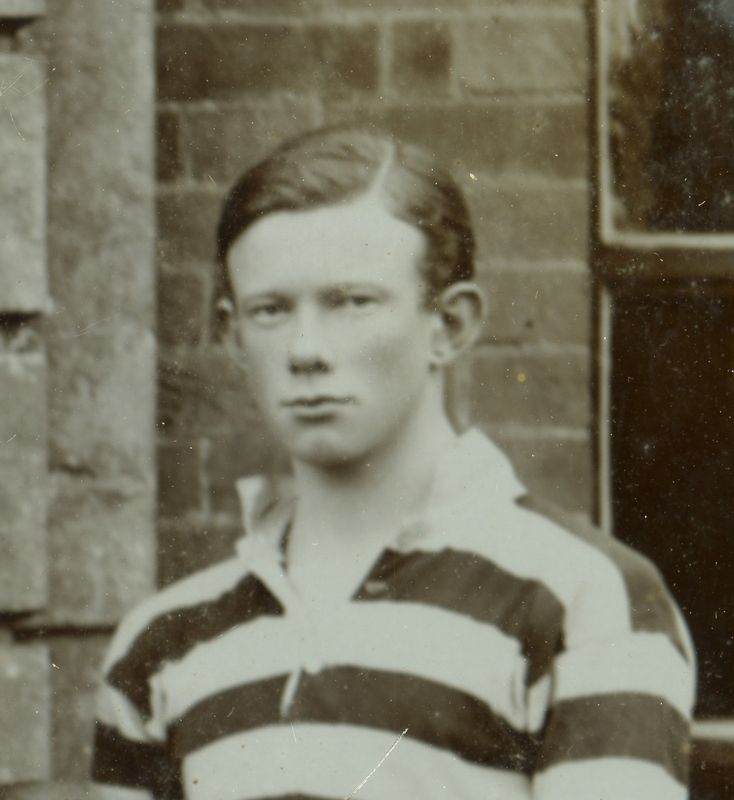 He married in 1912 and had one son who was awarded one of the War Memorial Scholarships to come to Radley. The family still maintain their connection with the school. How much we shall all miss him you can perhaps understand better than I can tell you. He was hit early in the evening, but insisted on going on with his work for six hours after he was wounded. Our admiration for his gallantry and devotion to duty knows no bounds. His name will be a lasting and inspiring memory to the officers and men of this battalion. Two of the stretcher-bearers from his aid post who were with him when he died revisited the site in 1930. They wrote a poem about the incident entitled ‘The Pilgrimage’. This was discovered by the descendants of one of them in the 2000s. An excerpt was published in the Old Radleian in 2008. Citation for the Military Cross. Lieut. 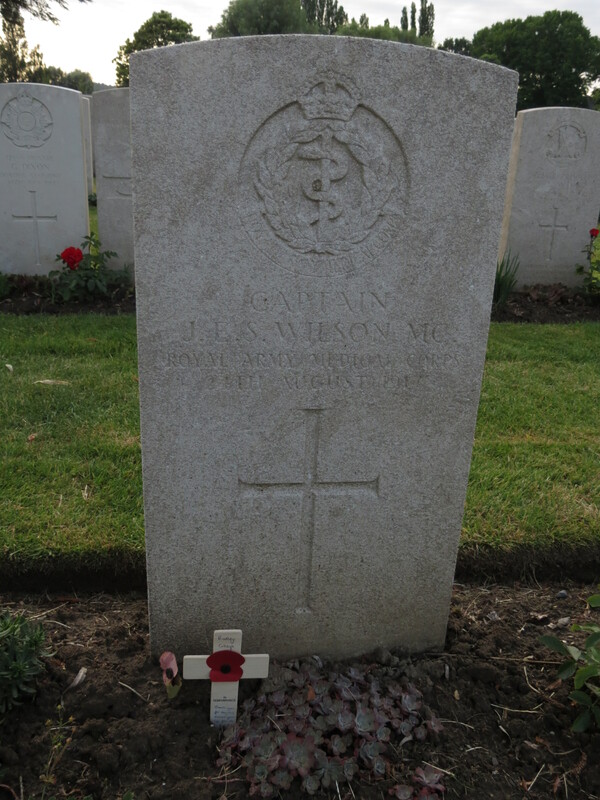 J. E. S. Wilson, R.A.M.C. 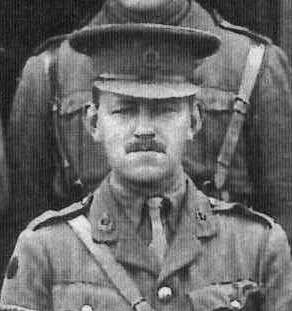 He went up to the front line from his Aid Post through a very heavy barrage, in order to assist the wounded. By his pluck and skill he undoubtedly saved many lives. He afterwards controlled the evacuation of the casualties under heavy fire. 2016 Citation for the Military Cross. 2nd Lieut. 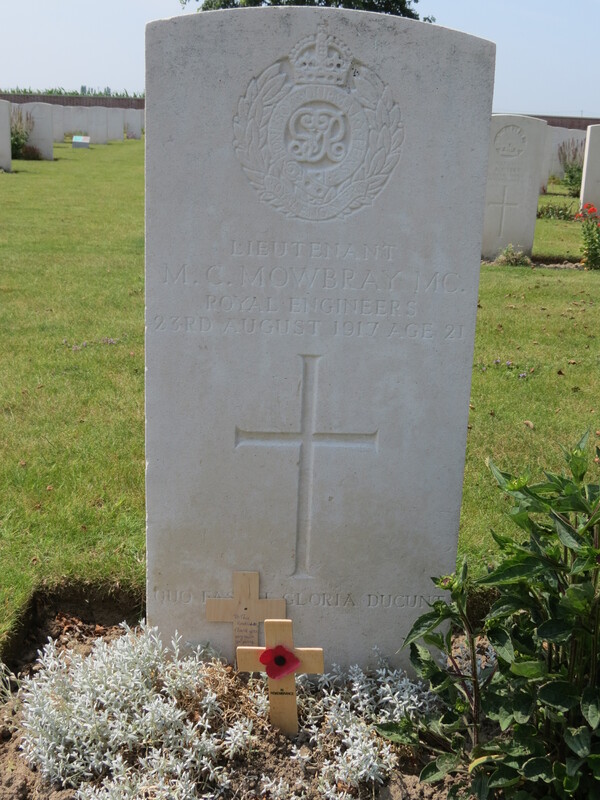 M. C. Mowbray, R.E. For conspicuous gallantry and determination, notably when consolidating a crater. His work was destroyed four times during the night by shell and trench mortar fire. He kept his party together, and displayed an utter disregard of personal safety. 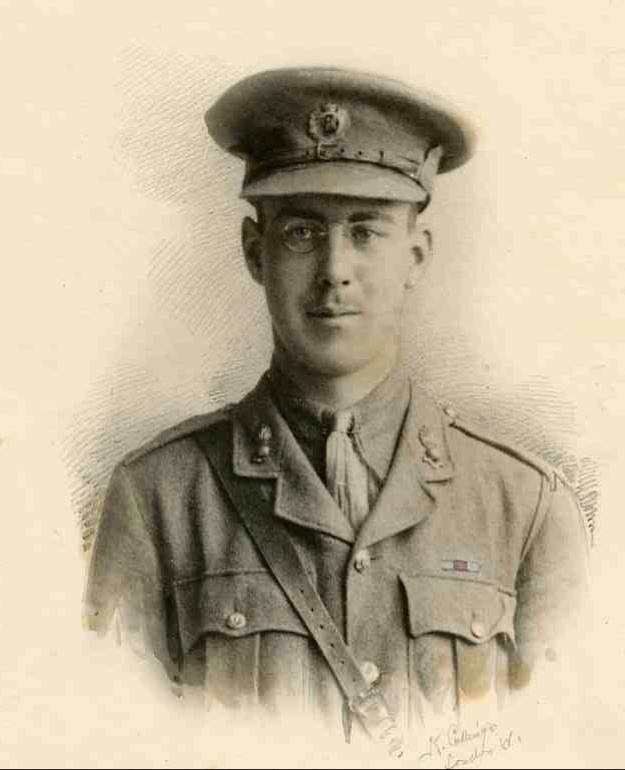 After school, he trained with the Royal Engineers at Woolwich, intending a military career: He was absolutely fearless and very capable, and his men would follow him anywhere; if only he had been spared he would have done well in the service. 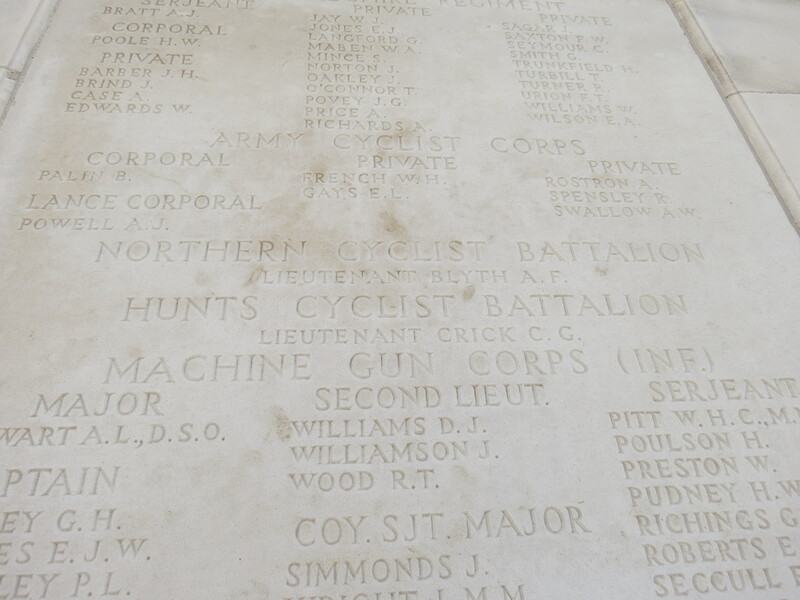 Posted in Commemorating the Fallen of WW1 and tagged 3rd Battle of Ypres - Passchendaele, Captain, career serviceman, E Social, F Social, Flanders & France (Western Front), H Social, killed in action, Lieutenant, Marching in Memory for Combat Stress July 2015, medic, mentioned in despatches, Military Cross, Radley's first Rugby team on 23 August, 2017 by archives602.